Entrepreneur; Chief Architect at @viverae . Worked at @mp3-com, @joost, @playdom, @yahoo • Open Source Evangelist. Founder DEY Storage Systems; VP Engineering. Founded illumos Open Source operating system project. Technical and engineering leader. UCSD CS, Angel Investor looking for cool startups! UX Lead @ 90 Day App Challenge, former UI Lead @ BrightScope. Founder LMNOtees.com. Entrepreneur disguised as a designer & engineer. The MacGuyver of software? Actively seeking New Grad Full Time Position in Android Application Development / Software Development. Founder @kareer-me. MBA @university-of-southern-california. EE @university-of-california-santa-barbara. Developer. Snowboarder. Beer Geek. 10+ year full stack .Net developer with strong focus on front end experience using AngularJs. CS student at UCSD. Passionate about fullstack developement and software that matters. Interactive Developer, Tinkerer, and Maker of things Software and Hardware. Founder of @qrawr, former @vp-of-engineering-kidzui, former @peon-google. Full-stack engineer and entrepreneur. Specialist in service-oriented architecture and design for scalable web and mobile applications. Past clients include: ESPN, NBC, @hookit, @blackbaud, JWT. I studied intellectual property in law school. I am learning front end web development. I am looking for a junior dev position. As a computer scientist/hacker, I believe the ultimate goal of computer technologies is to help people live better. Background in quantitative sciences, and writing software across many domains for the majority of my life -- from device drivers to databases to web apps. Freelance web designer and developer specializing in Ruby on Rails in conjunction with Bootstrap, HTML5, CSS3, jQuery, and PostgreSQL. Working on simple apps for @hello10. Formerly product designer and engineer at @stipple, engineer at @technorati. BioE BSc. from UCBerkeley. Founder and CEO of @flowh. Past: Senior/Lead dev at events company, lead dev/art director at media company, and dev at 2 other startups. Studied CS and Design. Alternate Reality developer - choosing to make the world a better place. Senior web developer at Pokki. Starters of Remixjobs/Juiiicy. Purdue CS, Stanford GSB & Software Engineer / Project Lead at Qualcomm. Ambitious & passionate about tech and entrepreneurship. Entrepreneur, programmer, and triathlon geek. Worked at Microsoft, Caring.com, and various other startups writing code and building product. Founder at CodeSmartStudios.com ♦ Co-founder at ProjectionsApp.com - Entreprenuer and technology enthusiest with 10+ years in full cycle software development. Creative Director of Fanpics. UI/UX, design, Illustration, front-end code. Crafting intuitive and delightful experiences. Graduating school and eager to work for a company and showcase my abilities. R&D Intern at Edwards Lifesciences; Algorithm Developer; Biomedical Engineer; UCSD Alum; Worked at NeuroWave Systems. 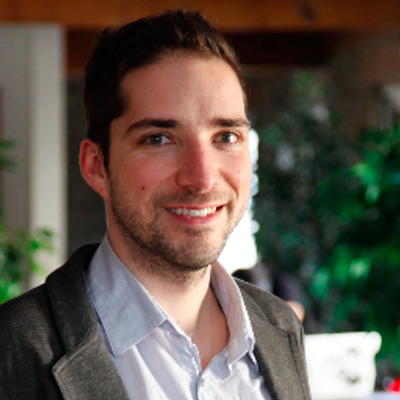 CTO at @measured-voice, founder and Executive Director of the SpaceUp Foundation. Serial agitator. Full stack software developer, launched 3 websites, innovative and problem solver. Professional consultant and Project manager. Worked with startups, large fortune 500. Worked at @qualcomm, @university-of-california-san-diego • Studied at @university-of-california-san-diego, @university-of-rochester,@san-diego-state-university. Creative Rails developer passionate about education, sustainability, and diversity. Backgrounds in publishing, youth mentoring, and gender studies (BA/MA). Highly organized professional with 7+ years of experience in SDLC, seeking product opportunities in a fast-paced and collaborative environment. Software Architect / Manager; member / co-founder of startups; time tested systems and software engineering expertise spanning full SDLC. Full-stack generalist, Python master, startup founder, author of the best-seller "Bitcoin Internals"
Worcester Polytechnic Institute grad, Robotics Engineering, I love Robotics and creating creative solutions to problems. Infinitely curious front-end web developer with a knack for build processes and an eye for design. CEO of Bay Six - a freelance development firm. Strong background in business information systems, processes, and software development. Seeking a challenge. Veteran and graduate from UCSD in Psychology. Over 5 years of experience with Adobe creative suite. Freelancing as a front-end web developer and graphic artist. Passionate and Motivated Embedded System Software Engineer looking to work in a Start Up environment. Vanderbilt & Art Institute Grad. Very Versatile - Jack of All Trades. Extensive eCommerce & Social Media Experience. Experienced and passionate software developer who is driven to create quality software applications, on schedule, and within budget. Berkeley CS, Java and C++. Strong in software design and architecture, especially SOA and APIs. UCSD CS, interested in Computer Vision and Data Mining, a variety of projects completed in these areas. 20+ yrs GUI design/software engineer. Co-inventor on 4 GUI-related patents. In-depth experience in prototyping. 5+ yrs managing projects. Love a challenge! UCSD Bioengineering Graduate looking for opportunities in Bioinformatics and computational biology. Passionate Technical Architect of mySharp patient portal, a developer of the taxonomy-based publishing system behind allbusiness.com, tamer of complex data migrations and emphatic proponent of SOA. Senior level manager; Product Dev't & Mfg (insource/outsource); Strong Engineering background; Systems, consumables, thin film micro-devices, assy's; BSME, MBA. Self & School taught C++, Java, PHP, Perl and Ruby Developer working as a Lead San Diego Software Engineer @GapIntelligence with a BSCS degree. Lead Front End Developer at Underground Elephant. B.A., Political Science UCLA 2011. Broad range of product level experience most recently in developing indoor location solutions for Retail and Hospitality. Equally capable of working in the engineering or business domains. Full-stack software engineer and consultant with over 12 years experience building software solutions within the financial services and e-commerce industries. Web developer & attorney; 10+ years in front-end web dev; Worked at Tillster, Examp, and PINT. strong developer and project manager with proven track record. BSEE from University of Washington turned to full Software Engineer. Work for Department of Defense on team creating new communication software from scratch. Senior Consulting Engineer specializing in the deployment of Linux and opensource projects in embedded systems. MS in Software Engineering from SJSU ,4 years of professional work experience. Created a Face-Detection, USB-missile-launcher and guidance system using Python and OpenCV! Strong development, IT and management background, JD Michigan State 2005. Creatively build useful things for the public good. Master of Urban Planning. Currently building wireless telecom for AT&T. Web Developer with strong ties to film production, photography, and creating interactive web applications. UCSD CE, Mobile & Web Developer, launched many successful apps on the iOS AppStore. Interested in entrepreneurship. Experienced designer and technologist with focuses on user-centric experience, development, coding, analytics, and marketing. Electrical Engineer with strong digital hardware design background combined with software system design experience. Recent UCSD Computer Engineering grad. Hoping to build experience while building products. Free & Open Source advocate, software crafter, photographer, good food and beer taster. University of California, San Diego. B.S Computer Science. Personal android application project. Currently working full stack on project with Ntrepid. Web Developer at UC San Diego's campus web office with front-end skills and a background in UX design. Invented the computer. Created all computer languages (except PHP). Spoke at every conference, and was funny. Awarded the Nobel Peace prize but turned it down. I'm a CogSci/CompSci student at @ucsd. I enjoy makings things, friends, and a fool out of myself. University of Minnesota CS. Chief architect of power test automation frameworks and power analysis tools at Qualcomm. UCSD CS student, Android Mobile App Developer. Currently building a mobile app looking to launch December/January. Firmware Engineer at Hewlett Packard Company. Responsible for designing applications that scale very well. M.S. in ECE at Northeastern University. Like web development, Love solving problems by programming and learning new technologies. Javaficionado. Energetic and passionate computer science student having a strong interest in technology. Software Engineer II at Intuit, Inc.
Front-end Web Developer. Obsessed with usability. Working on multiple side projects in Android, Ruby on Rails, Freelancing for startups, currently working at Qualcomm. Bridging the worlds of dev & design since 1999. Built SaaS leadgen & CMS. UI dev; Consulted on projects for Hilton, Ritz, Irvine Company, Visa etc. Developer of mobile applications with over 18 years of mobile application experience. Information Technology professional with a deep interest in biology and geography. Highly organized and enthusiastic release engineer with a demonstrated aptitude for continuous improvement. Experienced with managing and releasing multiple projects across a product portfolio. My alignment is Chaotic Good. I hit my head on doorways. I press buttons in the right order and make computers do stuff. Professional software engineer. Flying J (hardware and software), WebSideStory (Internet), Corelogic CREDCO. Certified Network Engineer. Led a team of 9 to create a strong network globally. Former Software Engineer at Qualcomm. BS in CompE/CompSci, minor in Korean @ @san-diego-state-university. Enjoys creating useful products from scratch. Shipped mobile app for healthcare with advanced messaging and sync between devices and server. Effectively manage both local and offshore teams. MVP and MMFS. Actively looking for Internships / Entry Level position. Graduate Student at San Diego State University. Worked at Tieto as a Software Developer for 3 years. Software professional with 3+ years of experience in software development, programming using cutting edge development tools. Google Summer of Code Student(2012, 2014), Qualcomm Xprize Android app development. Currently pursuing Masters in Computer science. I am seeking an internship position that will utilize my knowledge with proven expertise in object-oriented analysis and design and exceptional record overseeing all facets of Software Development Life Cycle. Worked at LG Mobiles, currently working at Qualcomm Tech. Interested & passionate to work in the area of IoT/wearable's/Android development. Love to code. University of Toronto Electrical Engineer Grad. 2 years of software engineering experience at Qualcomm. Electrical Engineer who excels at analyzing, prioritizing and completing tasks in a professional manner. Strong organizational, technical and analytical skills. Launching an Android App, Deans List 2013/2014, First in family to graduate from college. Starting an Indie game studio developing mobile and pc games. Expert web developer, mobile app developer, entrepreneur & filmmaker. Senior Java Developer. Experience in startups as well enterprise with exposure to a variety of technologies. Looking for internship.Currently graduate student in SDSU -computer science.3 years work ex. Excellent coding and debugging skills, instrumental in resolving issues thus helping customers to ship multi million chips. Software application developer with nearly a decade of experience designing and developing scalable fraud detection solutions. UNC Charlotte, Computer Engineering, Internship at Aruba Networks, 2 years iT experience at Cognizant Technology Solutions, Proficient in C/c++/Java/Android. y focus has been delivering world-class mobile apps. Recently I delivered, as the sole developer, an app with over a million downloads and is rated 4.5/5 stars. Multimedia and mobile application development. Hardware and software full stack knowledge including Android and Windows. Geography degree with computer science experience, developed 3 apps for android and apple markets. Latest App has been played more than 30k times. Web Application Development, Working with web technologies off and on for 14 years, 10 years Military Service, Training and Problem solving for Apple Retail, I create iOS/Web apps for fun. Developed two Android app. Been a tutor for CS courses for half a year now. Web developer, succesfully launched and sold small business. Southern Adventist University CS, Graduated december 2013. Currently looking for a job, and working in two game application for IOS. An all around designer and competent front end web developer that loves user interfaces. A purveyor of great ideas that solve hard problems. Full stack software engineer with experience in front end, back end , embedded and databases. UCSB Computer Science class of '13. Technical lead for Expenses development at Workday. Creates Android apps in spare time. embedded software development, socket programming, RTOS development, Firmware development, TCP/IP, socket programming. C/C++/java developer, some exp. w/ rails and an interest in mastering all CS topics. BS in Computer Engineering from University of California, Santa Barbara. Focused on ASP.NET, LINQ and Entity Framework. Also worked with SQL Server and database development. Internet marketing and leadership to fellow starters. Mobile Application Architect. Design, develop, deploy. UCSD CS major. Experienced in coding and testing or debugging in C/C++ and Java. Looking for a summer internship opportunity. Experienced software developer. Open source contributor. Worked at Microsoft for 7 years. Senior Software Engineer, Web Developer, Generalist. Interested in working with Go full time. Well-rounded engineer and customer advocate with 15 years of medical device development and deployment experience. Worked at Netgear. Working at Sony as automation Software QA engineer. launched a successful technology startup. consulted for dozens of best known companies in the world.